You were fine the other day, but now you are feeling under the weather. It never fails—a sore throat can appear without warning. But what is the reason? 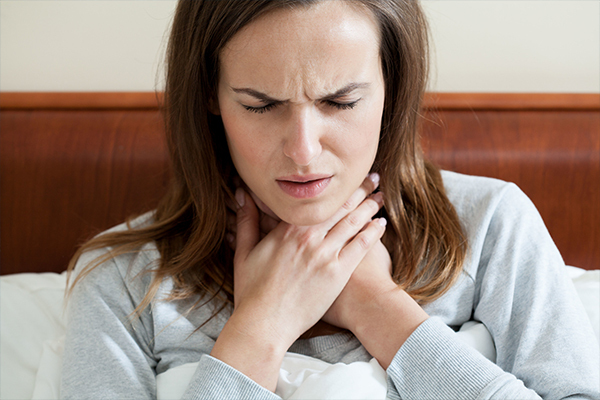 Our team at AFC Urgent Care Hixson wants to help you understand what could be causing your sore throat, as well as when you should see a physician. Read on as we take a look. Why Are You Experiencing a Sore Throat? A sore throat is defined as a condition in which a person’s throat is scratchy, itchy or painful. There are many different things that can cause a sore throat. When Should You See a Doctor for Your Sore Throat? If you are experiencing a sore throat, but there are really no other symptoms appearing, then you may find relief from at-home treatment like throat lozenges or OTC pain relievers. However, if your sore throat doesn’t improve after a few days or if you begin experiencing other symptoms in addition to your sore throat like a fever, then you will want to see a physician sooner rather than later. Take antibiotics if prescribed for a bacterial infection. Use throat lozenges to soothe the throat. Have a sore throat that just won’t go away? It’s time to visit AFC Urgent Care Hixson to find relief from your sore throat sooner rather than later.